I’ve been loving and using bromeliads in my garden for two years now but it wasn’t until recently that I discovered those cute little Cryptanthus’ or Earth Stars. What horticultural rock have I been hiding under? They are now my latest plant crush. However, just a few weeks ago I purchased some new succulents so Purple Split Rock and Graptoveria “Bashful” are close behind. Cryptanthus was given its common name because the showy, wavy leaves grow in the form of a star. This Red Earth Star has a lot of babies emerging. The foliage of this plant is much more the draw than the small, insignificant white flowers. Unlike many other bromeliads, the flowers don’t appear on a long stalk. I know this because mine have already bloomed in the short time I’ve had them. They grow low and are very effective when planted in mass. As far as light goes, their ideal seems to be bright shade. If they get too much sun, they burn. Not enough and the foliage reverts to a yucky green. As you can see, they make a striking ground cover when planted in quantity. seen at Sherman Library & Gardens. 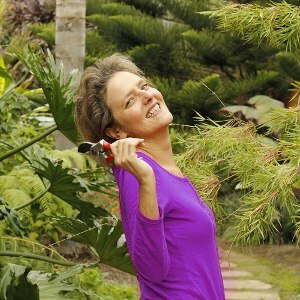 be sure to check out the link at the end because this garden has a lot of bromeliads & succulents. 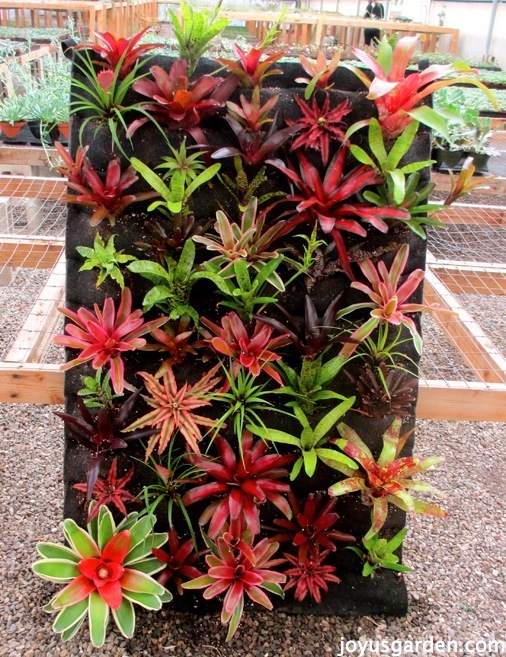 The majority of Bromeliads are epiphytes, meaning they grow on other plants and get their moisture from the air. This is not the case with these Earth Stars as they are terrestrial. 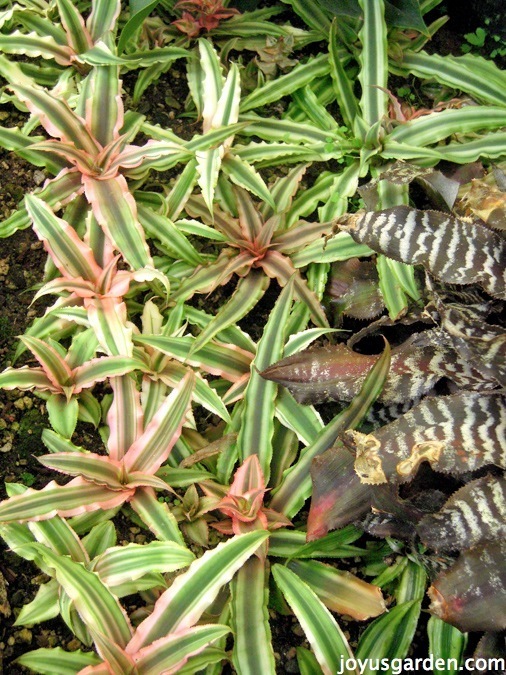 In nature, they grow in soil in moist conditions under other plants which means you water them differently than their other bromeliad relatives. You keep the soil of the plant evenly moist rather than keeping water in the cup. When planting them, use a mix which has ground bark, coir (or peat), sand and perlite – it needs to be well drained. 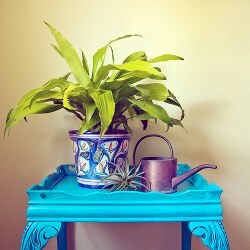 Or, you can make it easy and buy a bromeliad planting mix. They are very easy to propagate. Wait until the pups (babies) reach a good size, about 1/3 that of the mother. I heal them off for a few days and then stick them into a pot with that loose soil mixture. These I water in after planting. Be sure to watch the video below to see how easy the pups are to take off the mother plant. 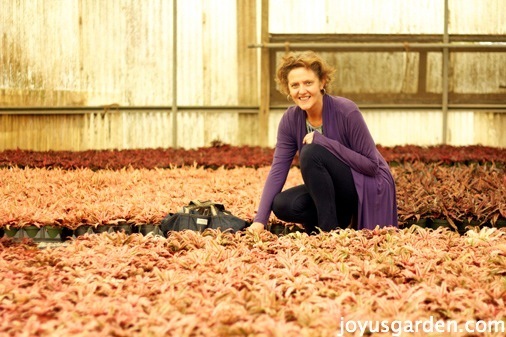 Me in a sea of Earth Stars at a grower’s greenhouse! They are considered easy as houseplants but I have no experience with this because mine grow outdoors. Reportedly they like bright light with at least 4 hours of sun (not all day scorching) to bring out the color in the leaves. 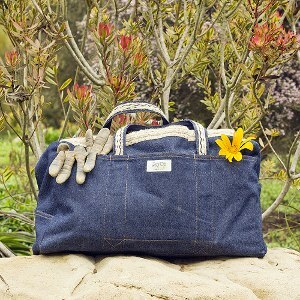 Water them on a regular basis but don’t keep them soggy. They do like humidity, not found all year long in the average home, so a spot in the kitchen or bathroom would be set. As soon as the pups on my plants get bigger I plan on taking them off and potting them up. I plan to plant them en masse under my Loquat Tree. I’d love to hear what your plant crush is these days! Update: Read about my worm compost/compost feeding right here. A really cool garden with interesting plants: Sherman Library & Gardens. Here are some of the bromeliads in My Side Garden. 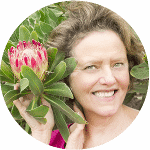 Here are videos showing How I Care For My My Bromeliads & How I Take Pups Off My Other Bromeliads. 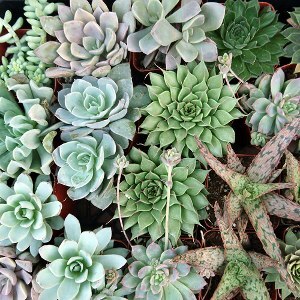 My latest plant crush is succulents. I have a question. 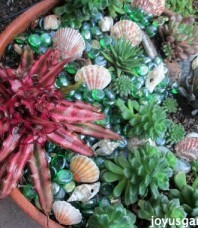 Can I plant earth stars in with my succulents? Would love to hear from you. Thanks! Hi, mine has lost its pink, from your post, I understand it’s due to insufficient sunlight. Will the pink come back if I bring it out to a brighter place? Or it’s permanently green now on? Thanks! I just found one of these but it looked pretty rough. Can these be brought back to life? Right now I currently have it in water therapy. Is that good for this plant? I seem to have plant crushes constantly, many times over too and usually three or four at the same time. I’ve never tried Cryptanthus, though. Of course I’ve seen them, felt them and wondered if those little rough things could ever be desirable or what they could ever be used for. I didn’t even have the curiosity to discover they were bromeliads. They just looked so scrawny and uninviting. But I see they could be quite interesting used much like star fish on a mini coral reef affect. Anyway now I know more Im interested, if they’re ground covers Im always interested. Yesterday someone threw a mounted tree fern block of three pink Cryptanthus over my fence! Two were alive the third was dried up and dead. I was livid. Now Im not so LOL. Maybe it’s a blessing in disguise. Mounted they must have been a watering chore second to none. Im going to try them out. I have other bromeliads but I cant stand them. They grow into large prickly mounds and mosquitoes and water fleas sting my legs whenever I go near. They’re also impossible to weed without being a fanatic or having a reduced pain threshhold. When I do try I get scratches all over my arms. Other peoples look lovely and thats fine, but Im constantly threatening to throw mine over the fence LOL. Ooops could there be a Cryptanthus lesson in there somewhere, Im not sure. As they don’t store water in little ponds maybe not, but what about weeding? Do I need to be on my hands and knees with a pair of tweezers for the rest of my days? Or, do they need to be grown through a weed matt…..if either that’s already too fussy. Anyway I will tuck in the two pink stars I have and see what happens, can’t hurt and might just turn into a plant fetish. Im still wondering how they ended up being so cruelly and callously treated by the previous owner? Hmmmm, is there something you aren’t telling us? Little question do they spread all by themselves or do you need to remove the “puppies” one by one and do the spreading yourself? What if you don’t? – does “heal off” just mean letting them essentially scab over where they were broken off? 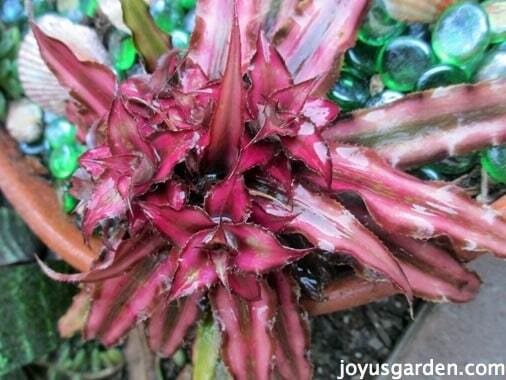 – I had another variety of bromeliad which produced a single pup which has been doing fine since I repotted it, but the mother plant died shortly after taking it off (which I had read it would do). Will Cryptanthus do the same thing or will the mother keep going (and producing more pups in future)?